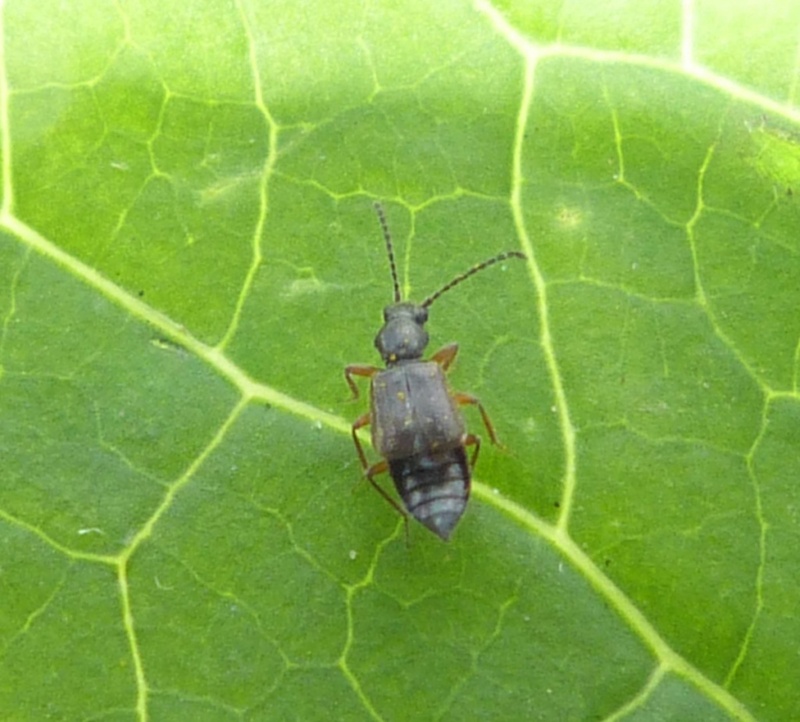 This is a fairly small dark brown to blackish rove beetle with orangey coloured legs. Often found in damp areas, in reed litter and flood refuse but also found under logs and stones. Fairly frequent in Leicestershire and Rutland. 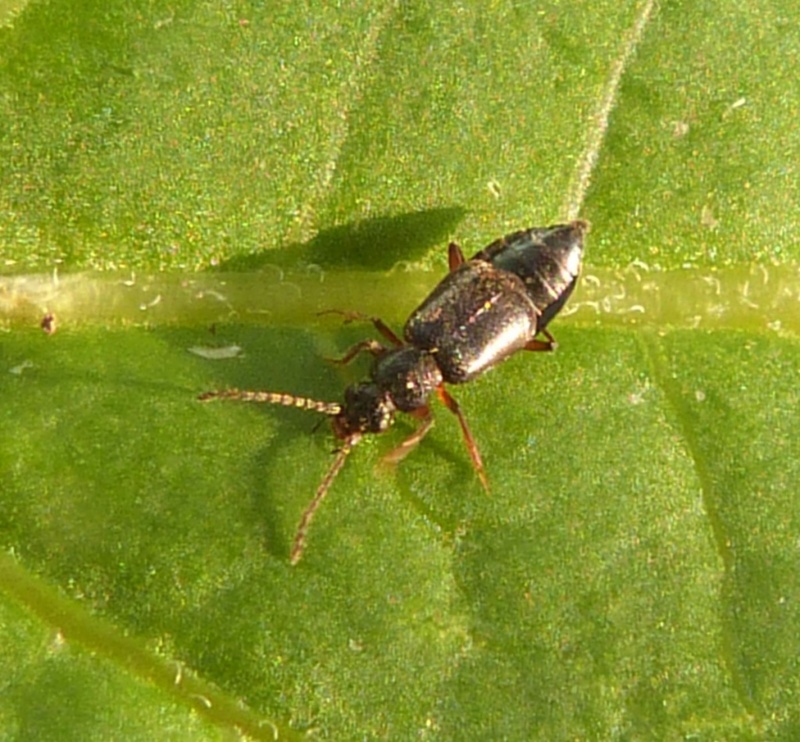 There were a total of 162 VC55 records for this species up to March 2015.